Lapis lazuli is an opaque, vibrant blue gemstone belonging to the semiprecious gemstone category. Lapis Lazuli is associated with the Planets Saturn and Venus as well as the Zodiac Signs of Sagittarius, Capricorn and Libra. 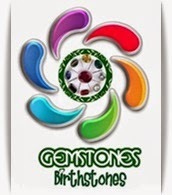 It is also the birthstone of September. Lapis lazuli is also the Wedding Anniversary Gemstone for the 7th and 9th year of marriage.